thank you sooo much, I love it!! This is a beautiful drawing!! Really beautiful :) And I like the pink colour! WOW…thatÂ´s amazing!!!! I loooove it, so talented. Cool photo. I love the details and intricacy of it. 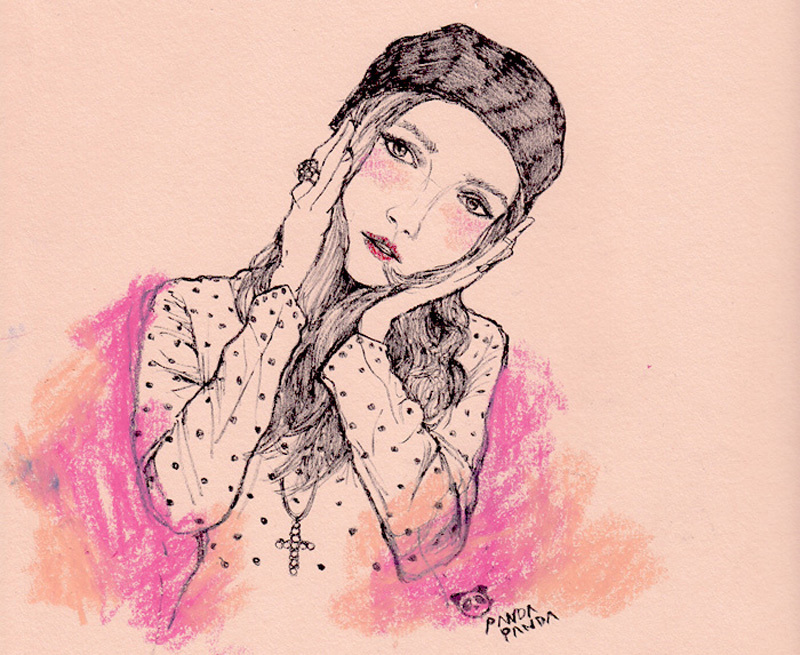 Very cute, love her style of drawing! What an amazing painting. I really love it. Really pretty! I love colors she chose–and that is looks so much like you. I also do illustrations, you can see them here if you want. Carolina, I would like to send you one of my necklaces. I invite you to visit my blog, have a look and choose your favourite one.